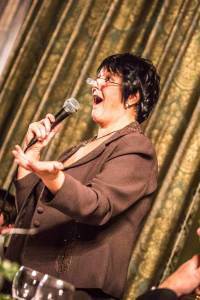 In addition to considering a voice lesson with us today, why not take a new opportunity to develop both your performance and confidence levels by our in house Coach, Carol Baldwin. When I started going to Carol for coaching sessions it was to help me get over a ‘confidence block’ with my singing. Not only did she help me to get over that, but she has also helped me to deal with potentially stressful situations in other areas of my life. The ‘Facility Life Coaching’ that Carol offers not only looks for reasons to explain why people are how they are; she also suggests a range of practical tools that help with everyday problems and worries, all the while looking forward at what I want to achieve in the years to come. Carol is not only professional, well-qualified and extremely good value for money – she is also warm, friendly and totally accepting of any problem I may bring to her doorstep. After just 3 sessions I am a more confident, calm and optimistic person – I can’t even put a price on that! Carol is a proven and accomplished Life Coach with extensive and proven experience in helping thousands of people to unlock their true potential and awaken confidence in a way many never even knew was possible. Sessions are a combination of performance, confidence, self esteem, motivation, business development and general life skills coaching. To do this, Carol draws on her own extensive experience of over thirty years as well as recognised and licensed training, she has also studied Neuro Linguistic Programming. Carol has travelled the world speaking to thousands of people in motivational seminars and business development conferences on a larger scale. Carol has been highly successful in helping individuals seeking to grow in all round confidence; this option is available to you regardless of whether you sing with us or not. No matter who you are, where you are from, whether you would describe yourself as confident or not, Carol offers one-to-one coaching sessions that will help you reach new heights and awaken your full potential. Would you like to book a lesson? Book a lesson today! You can arrange to start a variety of lesson types, from learning online via Skype Lessons, learn in Studio on your own in a private singing lesson or group workshop. We can also teach you skills to boost your confidence and performance.